We are possibly getting another winter storm... maybe just some rain... but its perfect weather to snuggle under blanket and read... but I wanted to get a few cards out first! 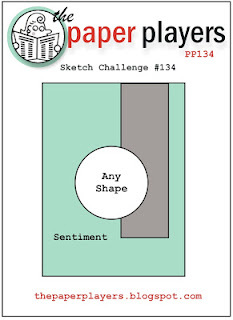 Paper Players has a great Clean sketch for the week,and paired with Dynamic Duos, I loved it for the Get well card I needed for a friend who is done at the moment! I used the Pop-up Posies in Pool Party, with a glitter brad. I'm sure your friend will love this. 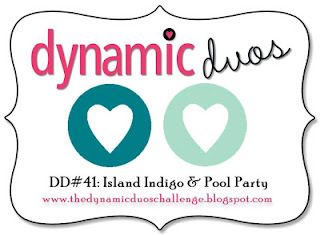 Thanks for joining us this week at Dynamic Duos. 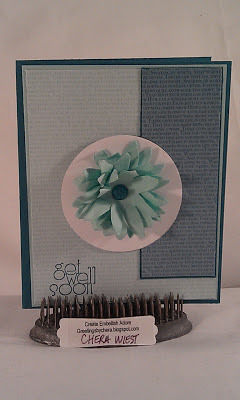 Lovely use of this week's colours and I love that flower! Gorgeous. Thank you for sharing your card with us at Dynamic Duos. 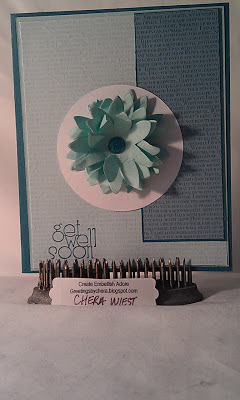 Your pretty posie makes a CAS card so special! 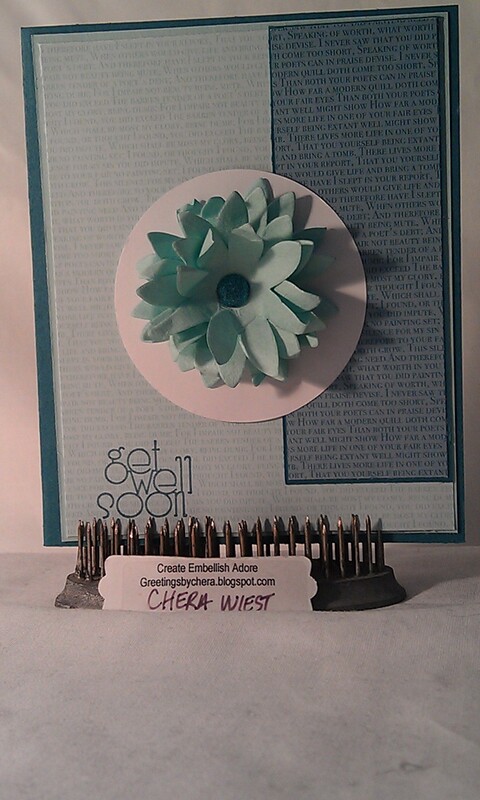 Thanks for playing along this week with The Paper Players, Chera!